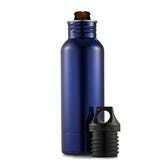 Our readers are no stranger to the second coming of the koozie, having purchased more than 10,000 of Thermos’ take (and that was just the single pack), but CORKCICLE is upping the ante. 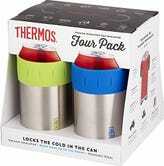 We’ve listed 4 packs of Thermos’ Can Insulators for as low as $24, or $6/piece, over on Kinja Deals, so it’s a good thing then that the Artican literally has some tricks up its sleeve. The felt sleeve included with your Artican is a perfect spacer for when you want to switch from 8 oz. cans to 12 oz. bottles, and that’s not all. The bottom of the Artican is a removable, freezable gel core. The Artican is the only koozie around that’s actively cooling, rather than just insulating, so if you’re serious about your beer or Cherry Coke Zero Coke Zero Sugar, this is the koozie for you. 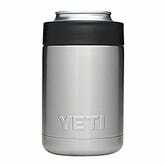 YETI also makes a can and bottle holster which has a unique system for locking your drinks in place, but no freezable core.